We run a Lunchtime Communion Service every Wednesday at 12.30pm. Held in the small Bishop West Chapel, it is a simple, said Communion service aiming to provide a haven of peace in the middle of the week. It lasts about 25 minutes. This is held in the Lancaster Hall, at 9.45 am on Tuesday mornings and is followed by the St Mary’s Toddler Group, and involves singing, a short bible story and some prayers – this is great fun and the toddlers love it before they play. More information about the Toddler Group can be found by clicking here. Other services are held for special occasions through the year and in Lent and Advent as advertised. 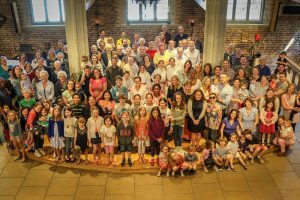 On a number of occasions through the year we join with the congregation of All Saints Putney Common and worship together. Happy birthday to the Church!!! 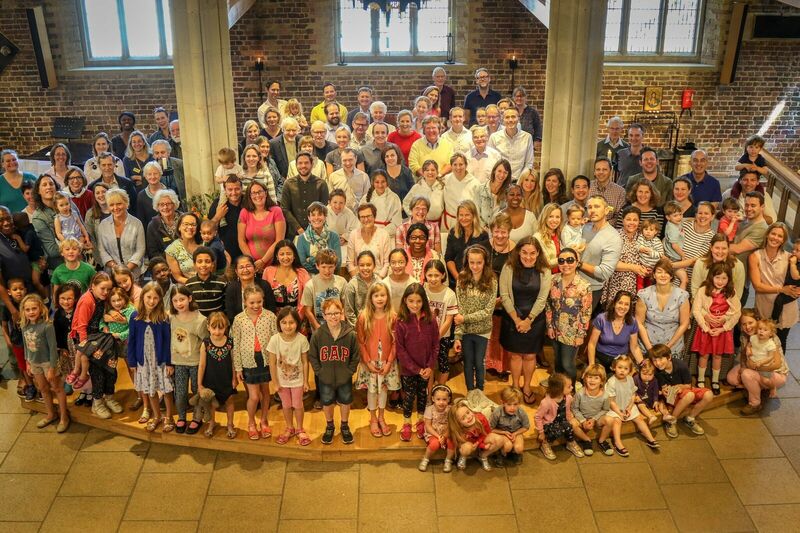 Thanks to everyone who came to celebrate the Christian feastday of Pentecost with us, which is celebrated ten days after Ascension Thursday which commemorates the descent of the Holy Spirit upon the Apostles and other followers of Jesus Christ while they were in Jerusalem celebrating the Feast of Weeks, as described in the Acts of the Apostles. Some Christians believe this event represents the birth of the Church. Since the Feast of the Ascension occurs forty days after Easter, Pentecost is a moveable feast.